Relevant and practical tips for those who want to spread their passion for Jesus. Many believers have a desire to share the love of Christ with others, but they are held back by fear and uncertainty. 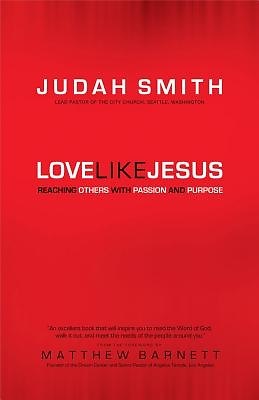 "Love Like Jesus" shows Christians how they can successfully reach a world desperately seeking purpose and meaning, and it addresses how to overcome the common challenges shared by everyone who wants to share their faith-- including fear of failure, lack of love, and living in an age of compromise and complacency. "Love Like Jesus" provides relevant and practical tips for those who want to spread their passion for Jesus to their neighbors and the world. Judah Smith emphasizes that telling others about Jesus comes with challenges, and he provides effective solutions designed to overcome fear and uncertainty.